We need to be careful in that we do not serve out of a desire to look good or feel good. 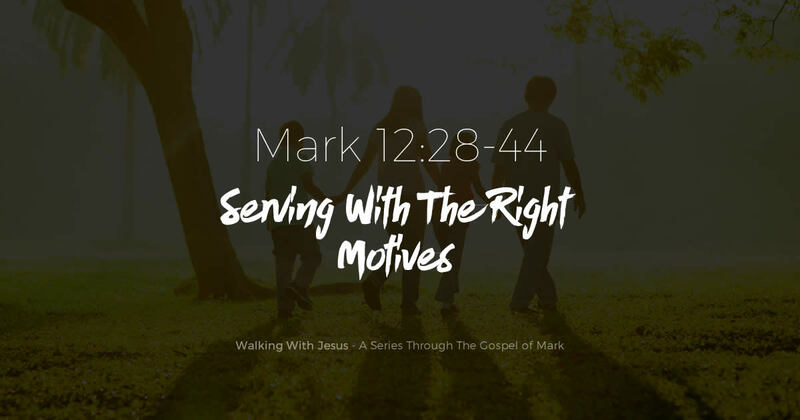 We serve because we want to bless others, not because we want others to bless us. We serve because we want to love others, not because we want others to love us. We serve out of our love for God. We serve because we want to love God with everything we have, and love our neighbors in the process.